Rise with the sun and float gently through beautiful red sandstone canyons and above towering rock spires. See the scenic high desert from the basket of a hot air balloon. 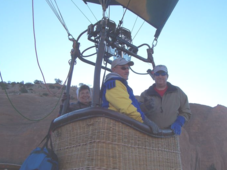 Red Rock Park, just east of Gallup with its beautiful canyons has been described as a ballooning paradise and one of the most spectacular places in the world to fly. Flights generally last one to one and a half hours and come complete with a traditional balloonist ceremony featuring a toast and a first flight certificate. 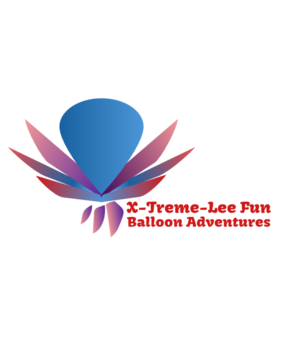 At X-Treme-Lee Fun Balloon Adventures, we take care to provide our customers high quality hot air balloon rides and promotions. Our pilots are F.A.A. certified "commercial" pilots and instructors for hot air balloons. 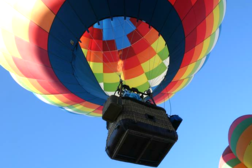 We pride ourselves on providing a safe and fun ballooning experience. Contact us to book your reservations. Get real attention for your business or special event! 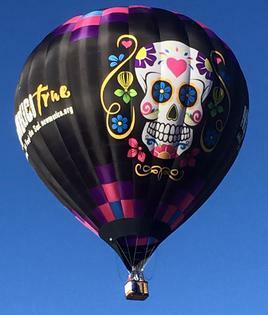 It is hard to top having a 10 story tall colorful hot air balloon in front of your business or at your event. In addition to drawing traffic, you'll also enjoy giving customers and visitors a chance to experience a short flight while enduring your brand in their minds. If you have any questions concerning prices, please don't hesitate to contact us. Our friendly customer service staff will help find the best solutions for you. When was the last time one of your customers stopped to take a picture of your billboard or advertisement? They will when you let your brand take flight on a Hot Air Balloon. Your banner featuring your brand on a 120,000 cubic foot colorful balloon is bigger than many highway billboards and it will get you noticed! ​$ Banner sponsorship packages are customized to fit your advertising budget.